Homeowner’s Insurance Coverage A is the part of the policy that covers the home or dwelling itself. That seems simple enough, but wait, there’s more. It also covers any structure that is physically attached to the building. By that it means that it can’t be connected by a fence or a utility line, but rather physically attached to the dwelling. This may include attached decks, carports, patio covers. When it comes to Homeowner’s Insurance Coverage A the question is always the coverage form, which can vary on the same home based on the occupancy of the home. For example if the home is vacant you might get a basic form with vandalism, theft, and malicious mischief excluded. However, if the home is owner occupied, a rental, or a second or seasonal home you might get a special form, which is always the best option. One of the most difficult things about coverage A is determining the replacement value of the home which is the cost to rebuild the home as is. Market value is irrelevant as you can’t insure dirt. Land is excluded. Typically agents will use estimating tools to try to figure out a ball park, but appraisals can also be used. It is important to determine because if you don’t insure it for enough, you can get penalized in the event of a claim, and if you insure it for too much then you are paying to much for the insurance every month. Ultimately it is the insureds responsibility to determine the value, but there are things that can help you determine the value. When it comes to the loss settlement, it often depends on what you choose. Typically you will have the option of replacement cost (the coverage you want) and Actual Cash Value. Choosing the replacement cost option will ensure that you are able to replace the home in the event of a loss. Actual cash value will provide you money as well, but it may not be what it needs to be to replace the home. For a home insurance quote, contact us today! According to Statista.com in 2017 GEICO Insurance company spent nearly 1.4 billion dollars on advertising. Progressive? 622 Million. State Farm? 521 Million, and so on and so forth. Those are some staggering numbers. As of 2016, Travelers is the 6th largest Property and casualty insurance company in the US, and the 9th largest in Arizona. 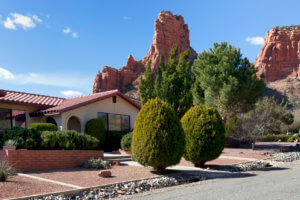 They are the 6th largest homeowner’s provider in the US and 7th largest in Arizona. Point is we are talking a 29 billion dollar publicly traded company that is 106th on the list of the fortune 500 companies. As an independent insurance agent, this is our fight. We, by our nature, sell companies that focus more on their products than on marketing. For example, we also represent Safeco, which is part of the liberty mutual group, the 3rd largest insurance company in the US, but they don’t sponsor baseball outs or have a cute mascot. What they (both Travelers and Safeco) do have is awesome coverage, and great claims service. The point is this: While you may not have heard of the company we are offering we do our homework. We are very contentious about our customer’s claims experiences, and work to ensure that we only represent quality companies. The insurance industry has a system for defining the quality of a company. AM Best provides ratings that are very much like grades A+, A, A- B+ etc. We only work with A-Rated companies to ensure you are covered by a solid company that is going to pay their claims. While not all our companies spend millions upon millions on advertising they are good quality companies, that have awesome coverage, excellent claims service, and have chosen to work with independent insurance agents like Gila Insurance Group. A final thought: Last year, McDonalds spent 633 Million on advertising. Ruth Chris Steakhouse spent 6.7 Million according to emarketer.com. While McDonalds has its place, I know I would much rather eat a steak and Ruth Chris. As with food, when it comes to insurance I recommend understanding the quality of what you are buying, and not putting all your stock in “As Seen On TV”. It’s not always the best! Yes, it can happen here! Here being Safford, Thatcher, Pima and the Gila Valley. What is it? Insurance claims. We don’t see many natural disasters. I mean, the last major flooding of the Gila River was in what, 93-94? We don’t have hurricanes or tornadoes. We live too far from the mountain to have an issue with wildfires. We did have that hail storm back in 2016, but as a whole we don’t see that happen often, which has become a problem. It’s a good problem, but it’s a problem. Why? Because we that are blessed to live in our secure little valley have been lulled into a false sense of security, and it has caused us to purchase insurance in the wrong way. What do I mean? We nearly solely focus on price rather than the coverage. If you buy solely on price, then your claims experience is going to reflect that fact. The wind found a weakness in a tree and snapped it in half. So, the half of the tree fell on a new pick-up truck, hit the roof of the house and landed on block wall. As it was, only the truck was damaged…but it still begs some questions. What if it had caused damage to both the home and the truck? How would your policy respond? Did you know there are policies that would only apply one deductible to the same loss? What if it had caused damage to the block wall? I don’t know if the wall was owned by the tree owner…if not, that would be liability. How much liability do you have? In another part of town another tree fell. In this case it broke a waterline and caused the neighbor’s house to flood causing thousands of dollars in damage. 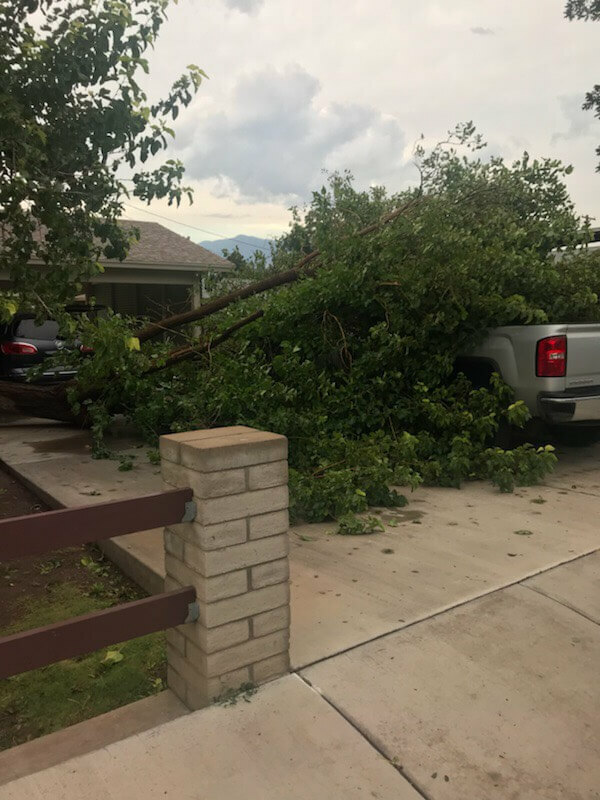 Because it was a neighbor’s tree that caused the damage, the neighbor will likely be liable for the flood damage, and it will likely be a liability claim that covers the damage. As I drove to work there were trampolines strewn across the valley. Yes, strewn is the right word. Some were straddling fences, others were up against houses, others in the middle of a pecan orchard. First, as a community we may want to consider anchoring our trampolines better. Second, we have another liability risk as we our trampolines become airborne missiles hurling towards neighbor’s property. Yes, we do live in an awesome little area. Yes, major storms are rare. But we need to take a look at coverage. Because if you’re not buying your insurance policy for the coverage, what are you buying it for? https://www.gilainsurance.com/wp-content/uploads/2018/07/logo-300x54.png 0 0 Tosten https://www.gilainsurance.com/wp-content/uploads/2018/07/logo-300x54.png Tosten2018-08-22 21:37:132018-09-18 23:40:50Yes, It Can Happen Here... and It's A Problem!